This Graphic Design bachelor’s degree aims to train creative designers with the necessary theoretical and practical background to design visual communication projects in the fields of multimedia, interactive communication and hypermedia. This 3-year journey is regularly authorised by the Italian Ministry of Education, University and Research. Today’s designers are experiencing a challenging yet exciting moment, where graphic design and communication are becoming multichannel experiences that users expect to be highly consistent. Our study plans are designed to combine technical and expressive subjects and market trends, in order to create a tangible set of skills. Get to know visual design and all its hues, like illustration, computer art, history of art. Understand how to design a creative concept and choose the right channels to deploy it. During the second year you will also add elective training activities. Go deeper in visual communication projects as you study the methodological and marketing point of view. After having completed your exams, you will have to prepare a multichannel visual communication project, which will include any material from the preliminary phase (moodboards, sketches, etc.) and anything helpful to better understand your work. The competences earned during this course will open up a variety of career opportunities. 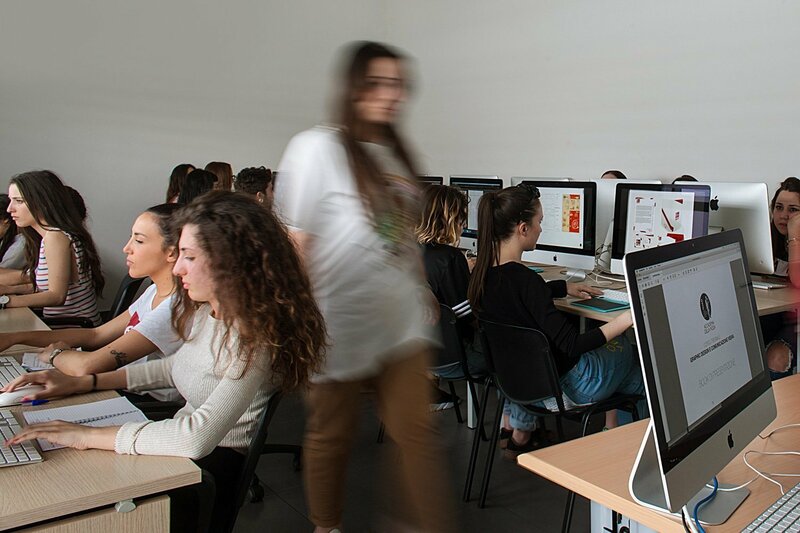 Based on your attitude and talents, you will be able to either work as a self-employed professional and in editorial design, business communication, digital media and graphic design agencies.